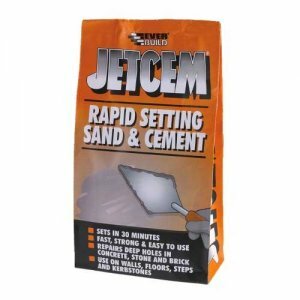 Everbuild Jetcem Waterproofing Cement is a rapid setting, cement based mix, formulated specifically for water resistance and is designed to set hard in about 30 minutes. 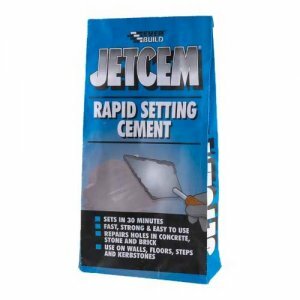 Everbuild Jetcem Waterproofing Cement can be used to repair cracks and holes in structures subject to permanent water immersion and patching repairs to tanking and water retaining structures. 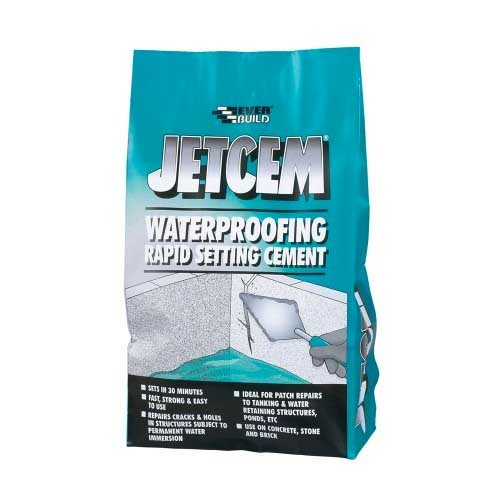 Everbuild Jetcem Waterproofing Cement is completely waterproof once cured and easily mixed by just adding water. 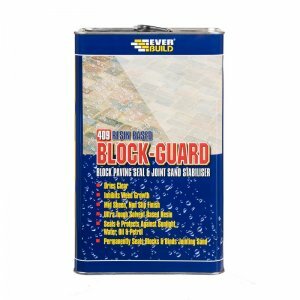 – Repairs to cracks and holes in structures subject to permanent water immersion. 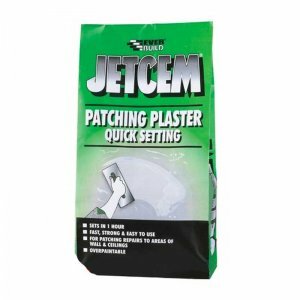 – Patching repairs to tanking & water retaining structures. 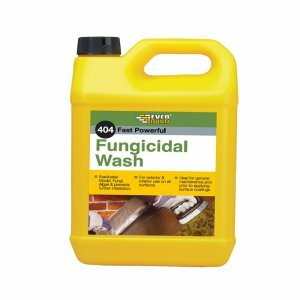 – Ideal for repairs to steps in basements, and areas susceptible to damp. 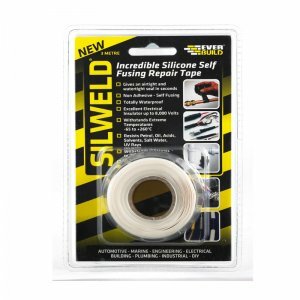 – Seal and joint drains and pipes. – Filling around pipes, through gaps. – Bedding sanitary ware (pedestal, toilets etc).